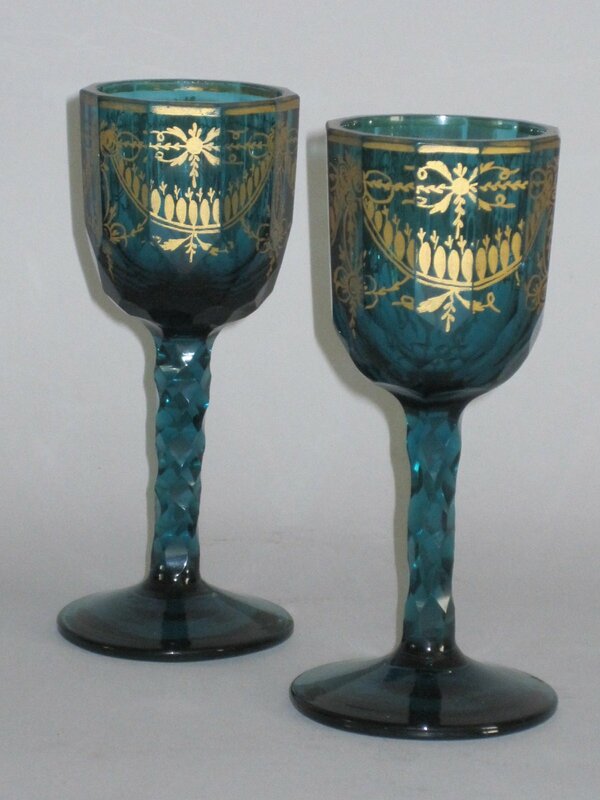 A FINE PAIR OF LATE 18TH CENTURY GREEN GLASS STEM GOBLETS. CIRCA 1775. IN THE MANNER OF JAMES GILES. The faceted bowls with delicate gilded decoration and raised on faceted stems and round bases. James Giles (1718-1780) was a decorator of Worcester, Derby, Bow and Chelsea porcelain and also glass. He created gilt and enamelled objects such as decanters & drinking glasses.